The global dimension of shipping calls for the Union to apply and support the international regulatory framework for maritime safety. The international maritime safety conventions require flag States to ensure that the equipment carried on board ships complies with certain safety requirements as regards design, construction and performance, and to issue the relevant certificates. To that end, detailed performance and testing standards for certain types of marine equipment have been developed by the International Maritime Organization (IMO) and by the international and European standardisation bodies. The international instruments leave a significant margin of discretion to the flag administrations. In the absence of harmonisation, this leads to varying levels of safety for products which the competent national authorities have certified as complying with those conventions and standards; as a result, the smooth functioning of the internal market is affected as it becomes difficult for the Member States to accept equipment certified in another Member State to be placed on board ships flying their flags without further verification. Harmonisation by the Union resolves these problems. Council Directive 96/98/EC (3) thus laid down common rules to eliminate differences in the implementation of international standards by means of a clearly identified set of requirements and uniform certification procedures. There are various other instruments of Union law which lay down requirements and conditions, inter alia, in order to ensure the free movement of goods within the internal market or for environmental purposes, for certain products which are similar in nature to equipment used on board ships but which do not meet the international standards – which may substantially differ from the internal legislation of the Union and are in constant evolution. Those products cannot therefore be certified by the Member States in accordance with the relevant international maritime safety conventions. Equipment to be placed onboard EU ships in accordance with international safety standards should therefore be regulated exclusively by this Directive, which should in any event be considered the lex specialis; furthermore, a specific marking should be established to indicate that equipment bearing that mark complies with the requirements laid down in the relevant international conventions and instruments which have entered into force. As well as setting out detailed performance and testing standards for marine equipment, the international instruments sometimes allow for measures that deviate from the prescriptive requirements but which, under certain conditions, are suitable to satisfy the intent of those requirements. The International Convention for the Safety of Life at Sea (SOLAS), 1974, allows for alternative designs and arrangements which could be applied by individual Member States acting under their own responsibility. Experience in the implementation of Directive 96/98/EC has shown that it is necessary to take additional measures in order to enhance the implementation and enforcement mechanisms of that Directive and simplify the regulatory environment while guaranteeing that IMO requirements are applied and implemented in a harmonised way across the Union. Requirements should therefore be established for marine equipment to meet the safety standards laid down in the applicable international instruments, including the relevant testing standards, in order to ensure that equipment which complies with those requirements can circulate unimpeded within the internal market and be placed on board ships flying the flag of any Member State. In order to allow for fair competition in the development of marine equipment, every effort should be made to promote the use of open standards in order to make them available freely or at a nominal charge, and permissible to all to copy, distribute and use for no fee or at a nominal fee. Decision No 768/2008/EC of the European Parliament and of the Council (4) lays down common principles and reference provisions intended to apply across sectoral legislation in order to provide a coherent basis for revision or recasts of that legislation. That Decision constitutes a general framework of a horizontal nature for future legislation harmonising the conditions for the marketing of products and a reference text for existing legislation. That general framework provides appropriate solutions to the problems identified in the implementation of Directive 96/98/EC. It is therefore necessary to incorporate the definitions and reference provisions of Decision No 768/2008/EC into this Directive by making the adaptations which are required by the specific features of the marine equipment sector. In order to provide market surveillance authorities with additional, specific means to facilitate their task, an electronic tag could supplement or replace the wheel mark in due time. The responsibilities of the economic operators should be laid down in a way which is proportionate and non-discriminatory for those economic operators who are established within the Union, taking into account the fact that a significant proportion of the marine equipment falling within the scope of this Directive may never be imported and distributed in the territory of the Member States. Given that marine equipment is placed on board ships at the time of their construction or repair all over the world, market surveillance becomes particularly difficult and cannot be effectively supported by border controls. Therefore, the respective obligations of Member States and of economic operators within the Union should be clearly specified. Member States should ensure that only compliant equipment is installed on board ships flying their flags and that this obligation is fulfilled through issuance, endorsement or renewal of the certificates of such ships by the flag State administration under the international conventions, as well as through national market surveillance arrangements in place in accordance with the Union market surveillance framework laid down in Chapter III of Regulation (EC) No 765/2008 of the European Parliament and of the Council (5). Member States should be supported in fulfilling those obligations by the information systems made available by the Commission for the assessment, notification and monitoring of bodies authorised to carry out conformity assessment tasks, the sharing of information in relation to approved marine equipment, applications withdrawn or refused, and non-compliance of equipment. In the first instance, the affixing of the wheel mark to the marine equipment by the manufacturer or, where relevant, the importer should be the guarantee pursuant to their obligations under this Directive that the equipment is compliant and may be placed on the market with a view to being placed on board an EU ship. Thereafter, certain provisions are necessary for the safe continuation and applicability of the wheel mark after it has been affixed and for the effective discharge of the task of national market surveillance authorities. The manufacturer or, where relevant, the importer or the distributor, should be obliged to provide the competent authorities with full and truthful information in relation to the equipment it has wheel marked to ensure that marine equipment remains safe. The manufacturer should be obliged to cooperate with market surveillance authorities, including as regard standards against which it has manufactured and certified equipment, and should also exercise due diligence in relation to marine equipment it places on the market. In this regard, a manufacturer located outside the Union should appoint an authorised representative in order to ensure cooperation with competent national authorities. Compliance with international testing standards could best be demonstrated by means of conformity assessment procedures such as those laid down in Decision No 768/2008/EC. However, only those conformity assessment procedures which meet the requirements of the international instruments should be made available to manufacturers. In order to ensure a fair and efficient procedure when examining suspected non-compliance, the Member States should be encouraged to take all measures conducive to an exhaustive and objective evaluation of the risks;. if the Commission is satisfied that this condition has been met, it should not be obliged to repeat that evaluation when reviewing the restrictive measures adopted by the Member States as regards non-compliant equipment. When performing its investigative duties with regard to notified bodies, the Commission should keep Member States informed and should cooperate with them as far as possible, taking due account of its independent role. When the surveillance authorities of a Member State consider that marine equipment covered by this Directive is liable to present a risk to maritime safety, to health or to the environment, they should carry out evaluations or tests in relation to the equipment concerned. In cases where a risk is detected, the Member State should call upon the economic operator concerned to take the appropriate corrective action, or even to withdraw or recall the equipment concerned. The use of marine equipment not bearing the wheel mark should be allowed in exceptional circumstances, especially when it is not possible for a ship to obtain equipment bearing the wheel mark in a port or installation outside the Union or when equipment bearing the wheel mark is not available in the market. It is necessary to ensure that the attainment of the objectives of this Directive is not impaired by the absence of international standards or serious weaknesses or anomalies in existing standards, including testing standards, for specific items of marine equipment falling within the scope of this Directive. It is also necessary to identify the specific items of marine equipment which could benefit from electronic tagging. Moreover, it is necessary to keep up to date a non-essential element of this Directive, namely the references to standards as referred to in Annex III, when new standards become available. The power to adopt acts in accordance with Article 290 of the Treaty on the Functioning of the European Union should therefore be delegated to the Commission in respect of the adoption, under certain conditions and on an interim basis, of harmonised technical specifications and testing standards and in order to amend those references. It is of particular importance that the Commission carry out appropriate consultations during its preparatory work, including at expert level. The Commission, when preparing and drawing up delegated acts, should ensure a simultaneous, timely and appropriate transmission of relevant documents to the European Parliament and to the Council. In order to meet the objectives of this Directive, the international instruments should be uniformly implemented in the internal market. It is therefore necessary, for each item of marine equipment for which the approval of the flag State is required by the international conventions, to identify in a clear and timely way the design, construction and performance requirements as well as the associated testing standards laid down in the international instruments for that equipment, and to adopt common criteria and procedures, including timeframes, for the implementation of those requirements and standards by notified bodies, Member State authorities and economic operators, including any operator responsible for placing equipment on board an EU ship. It is also necessary to ensure that the attainment of the objectives of this Directive is not impaired by shortcomings in the applicable technical specifications and testing standards or in cases where the IMO has failed to produce appropriate standards for marine equipment falling within the scope of this Directive. The international instruments, with the exception of testing standards, should automatically apply in their up-to-date version. In order to mitigate the risk that the introduction of new testing standards into Union legislation causes disproportionate difficulties for the Union fleet and for economic operators, from the standpoint of clarity and legal certainty, the entry into force of such new testing standards should not be automatic but, rather, should be explicitly indicated by the Commission. In order to ensure uniform conditions for the implementation of this Directive, implementing powers should be conferred on the Commission. Those powers should be exercised in accordance with Regulation (EU) No 182/2011 of the European Parliament and of the Council (6). In order to facilitate a harmonised, rapid and simple implementation of this Directive, implementing acts adopted pursuant to this Directive should take the form of Commission Regulations. In line with established practice, the committee referred to in this Directive can play a useful role in examining matters concerning the application of this Directive raised either by its chair or by a representative of a Member State in accordance with its rules of procedure. When matters relating to this Directive, other than its implementation or infringements, are being examined, for example, in a Commission expert group, the European Parliament should, in line with existing practice, receive full information and documentation and, where appropriate, an invitation to attend meetings. The Commission is assisted by the European Maritime Safety Agency, in accordance with Regulation (EC) No 1406/2002 of the European Parliament and of the Council (7), in the effective implementation of relevant binding legal acts of the Union and in the performance of the tasks therein entrusted to the Commission. The competent authorities and all economic operators should make all possible efforts to facilitate written communication in accordance with international practice, with a view to finding common means of communication. Since the objectives of this Directive, namely to enhance safety at sea and the prevention of marine pollution through the uniform application of the relevant international instruments relating to equipment to be placed on board ships, and to ensure the free movement of such equipment within the Union, cannot be sufficiently achieved by the Member States but can rather, by reason of the scale of the action, be better achieved at Union level, the Union may adopt measures, in accordance with the principle of subsidiarity as set out in Article 5 of the Treaty on European Union. In accordance with the principle of proportionality, as set out in that article, this Directive does not go beyond what is necessary in order to achieve those objectives. The objective of this Directive is to enhance safety at sea and to prevent marine pollution through the uniform application of the relevant international instruments relating to marine equipment to be placed on board EU ships, and to ensure the free movement of such equipment within the Union. ‘product’ means an item of marine equipment. 1. This Directive shall apply to equipment placed or to be placed on board an EU ship and for which the approval of the flag State administration is required by the international instruments, regardless of whether the ship is situated in the Union at the time when it is fitted with the equipment. 2. Notwithstanding the fact that the equipment referred to in paragraph 1 may also fall within the scope of instruments of Union law other than this Directive, that equipment shall, for the purpose set out in Article 1, be subject only to this Directive. 1. Marine equipment that is placed on board an EU ship on or after the date referred to in the second subparagraph of Article 39(1) shall meet the design, construction and performance requirements of the international instruments as applicable at the time when that equipment is placed on board. 2. Compliance of marine equipment with the requirements referred to in paragraph 1 shall be demonstrated solely in accordance with the testing standards and by means of the conformity assessment procedures referred to in Article 15. 3. The international instruments shall apply, without prejudice to the conformity checking procedure set out in Article 5 of Regulation (EC) No 2099/2002 of the European Parliament and of the Council (8). 4. The requirements and standards referred to in paragraphs 1 and 2 shall be implemented in a uniform manner, in accordance with Article 35(2). 1. When Member States issue, endorse or renew the certificates of the ships flying their flag as required by the international conventions, they shall ensure that the marine equipment on board those ships complies with the requirements of this Directive. 2. Member States shall take the necessary measures to ensure that marine equipment on board ships flying their flag complies with the requirements in the international instruments which are applicable to equipment already placed on board. Implementing powers shall be conferred upon the Commission to ensure the uniform application of those measures, in accordance with Article 35(3). Member States shall not prohibit the placing on the market or the placing on board an EU ship of marine equipment which complies with this Directive, nor refuse to issue the certificates relating thereto to the ships flying their flag, or to renew the said certificates. 1. In the case of a non-EU ship which is to be transferred to the flag of a Member State, that ship shall, during transfer, be subject to inspection by the receiving Member State to verify that the actual condition of its marine equipment corresponds to its safety certificates and either complies with this Directive and bears the wheel mark or is equivalent, to the satisfaction of that Member State’s administration, to marine equipment certified in accordance with this Directive as of 18 September 2016. 2. In cases where the date of installation on board of marine equipment cannot be established, Member States may determine satisfactory requirements of equivalence, taking into account relevant international instruments. 3. Unless the equipment either bears the wheel mark or the administration considers it to be equivalent, it shall be replaced. 4. Marine equipment which is considered equivalent pursuant to this Article shall be issued with a certificate by the Member State which shall at all times be carried with the equipment. That certificate shall give the flag Member State’s permission for the equipment to be retained on board the ship and impose any restrictions or lay down any provisions relating to the use of the equipment. 1. Without prejudice to Directive 98/34/EC of the European Parliament and the Council (9), as amended by Regulation (EU) No 1025/2012 of the European Parliament and of the Council (10), the Union shall pursue the development by the IMO and by standardisation bodies of appropriate international standards, including detailed technical specifications and testing standards, for marine equipment whose use or installation on board ships is deemed necessary to enhance maritime safety and the prevention of marine pollution. The Commission shall monitor such development on a regular basis. 2. In the absence of an international standard for a specific item of marine equipment, in exceptional circumstances where duly justified by an appropriate analysis and in order to remove a serious and unacceptable threat to maritime safety, to health or to the environment and taking into account any ongoing work at IMO level, the Commission shall be empowered to adopt, by means of delegated acts in accordance with Article 37, harmonised technical specifications and testing standards for that specific item of marine equipment. It is of particular importance that the Commission carry out consultations with experts, including Member States’ experts, during the preparation of such delegated acts. Those technical specifications and testing standards shall apply on an interim basis until such time as the IMO has adopted a standard for that specific item of marine equipment. 3. In exceptional circumstances where duly justified by an appropriate analysis and if it is necessary to remove an identified unacceptable threat to maritime safety, to health or to the environment due to a serious weakness or anomaly in an existing standard for a specific item of marine equipment indicated by the Commission pursuant to Article 35(2) or (3) and taking into account any ongoing work at IMO level, the Commission shall be empowered to adopt, by means of delegated acts in accordance with Article 37, harmonised technical specifications and testing standards for that specific item of marine equipment, to the extent necessary to remedy the serious weakness or anomaly only. Those technical specifications and testing standards shall apply on an interim basis until such time as the IMO has reviewed the standard applicable to that specific item of marine equipment. 4. The technical specifications and standards adopted in accordance with paragraphs 2 and 3 shall be made accessible free of charge by the Commission. 1. Marine equipment the compliance of which with the requirements laid down in this Directive has been demonstrated in accordance with the relevant conformity assessment procedures shall have the wheel mark affixed to it. 2. The wheel mark shall not be affixed to any other product. 3. 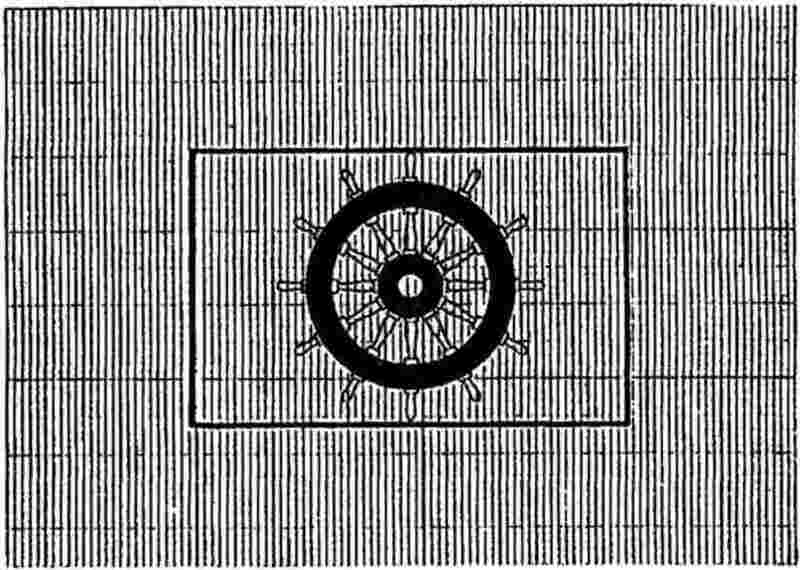 The form of the wheel mark to be used shall be as set out in Annex I. 4. Use of the wheel mark shall be subject to the general principles set out in paragraphs 1 and 3 to 6 of Article 30 of Regulation (EC) No 765/2008, where any reference to the CE marking shall be construed as a reference to the wheel mark. 1. The wheel mark shall be affixed visibly, legibly and indelibly to the product or to its data plate and, where relevant, embedded in its software. Where that is not possible or not warranted on account of the nature of the product, it shall be affixed to the packaging and to the accompanying documents. 2. The wheel mark shall be affixed at the end of the production phase. 3. The wheel mark shall be followed by the identification number of the notified body, where that body is involved in the production control phase, and by the year in which the mark is affixed. 4. The identification number of the notified body shall be affixed by the body itself or, under its instructions, by the manufacturer or the manufacturer's authorised representative. 1. In order to facilitate market surveillance and prevent the counterfeiting of specific items of marine equipment referred to in paragraph 3, manufacturers may use an appropriate and reliable form of electronic tag instead of, or in addition to, the wheel mark. In such a case, Articles 9 and 10 shall apply, as appropriate, mutatis mutandis. 2. The Commission shall carry out a cost-benefit analysis concerning the use of the electronic tag as a supplement to, or a replacement of, the wheel mark. 3. The Commission may adopt delegated acts, in accordance with Article 37, in order to identify the specific items of marine equipment which can benefit from electronic tagging. It is of particular importance that the Commission carry out consultations with experts, including Member States’ experts, during the preparation of such delegated acts. 4. Implementing powers shall be conferred upon the Commission in order to lay down, in the form of Commission Regulations and in accordance with the examination procedure referred to in Article 38(2), appropriate technical criteria as regards the design, performance, affixing and use of electronic tags. 5. For the equipment identified in accordance with paragraph 3, the wheel mark may, within three years after the date of adoption of the appropriate technical criteria referred to in paragraph 4, be supplemented by an appropriate and reliable form of electronic tag. 6. For the equipment identified in accordance with paragraph 3, the wheel mark may be replaced, five years after the date of adoption of the appropriate technical criteria referred to in paragraph 4, by an appropriate and reliable form of electronic tag. 1. By affixing the wheel mark, manufacturers shall take on responsibility for guaranteeing that the marine equipment to which the mark is affixed has been designed and manufactured in accordance with the technical specifications and standards implemented in accordance with Article 35(2), and shall assume the obligations laid down in paragraphs 2 to 9 of this Article. 2. Manufacturers shall draw up the required technical documentation and have the applicable conformity assessment procedures carried out. 3. Where the compliance of marine equipment with the applicable requirements has been demonstrated by the conformity assessment procedure, manufacturers shall draw up an EU declaration of conformity in accordance with Article 16 and affix the wheel mark in accordance with Articles 9 and 10. 4. Manufacturers shall keep the technical documentation and the EU declaration of conformity referred to in Article 16 for at least 10 years after the wheel mark has been affixed and in no case for a period shorter than the expected life of the marine equipment concerned. 5. Manufacturers shall ensure that procedures are in place for series production to remain in conformity. Changes in marine equipment design or characteristics and changes in the requirements in the international instruments as referred to in Article 4, on the basis of which conformity of marine equipment is declared, shall be taken into account. When necessary in accordance with Annex II, manufacturers shall have a new conformity assessment carried out. 6. Manufacturers shall ensure that their products bear a type, batch or serial number or other element allowing their identification, or, where the size or nature of the product does not allow it, that the required information is provided on the packaging or in a document accompanying the product or both, as appropriate. 7. Manufacturers shall indicate their name, registered trade name or registered trade mark and the address at which they can be contacted on the product or, where that is not possible, on its packaging or in a document accompanying the product or both, as appropriate. The address must indicate a single point at which the manufacturer can be contacted. 8. Manufacturers shall ensure that the product is accompanied by instructions and all necessary information for safe installation on board and safe use of the product, including limitations of use, if any, that can be easily understood by the users, together with any other documentation required by the international instruments or testing standards. 9. Manufacturers who consider or have reason to believe that a product to which they have affixed the wheel mark is not in conformity with the applicable design, construction and performance requirements and with the testing standards implemented in accordance with Article 35(2) and (3), shall immediately take the necessary corrective measures to bring that product into conformity, to withdraw it or to recall it, if appropriate. In addition, where the product presents a risk, manufacturers shall immediately inform the competent national authorities of the Member States, giving details, in particular, of the non-compliance and of any corrective measures taken. 10. Manufacturers shall, further to a reasoned request from a competent authority, promptly provide it with all the information and documentation necessary to demonstrate the conformity of the product, in a language which can be easily understood by or is acceptable to that authority, grant that authority access to their premises for market surveillance purposes in accordance with Article 19 of Regulation (EC) No 765/2008 and provide samples or access to samples in accordance with Article 25(4) of this Directive. They shall cooperate with that authority, at its request, on any action taken to eliminate the risks posed by products which they have placed on the market. 1. A manufacturer who is not located in the territory of at least one Member State shall, by a written mandate, appoint an authorised representative for the Union and shall indicate in the mandate the name of the authorised representative and the address at which it can be contacted. 2. Fulfilment of the obligations laid down in Article 12(1) and the drawing-up of technical documentation shall not form part of the authorised representative’s mandate. cooperate with the competent authorities, at their request, on any action taken to eliminate the risks posed by products covered by its mandate. 1. Importers shall indicate their name, registered trade name or registered trade mark and the address at which they can be contacted on the product or, where that is not possible, on its packaging or in a document accompanying the product or both, as appropriate. 2. Importers and distributors shall, further to a reasoned request from a competent authority, provide it with all the information and documentation necessary to demonstrate the conformity of a product in a language which can be easily understood by, or is acceptable to, that authority. They shall cooperate with that authority, at its request, on any action taken to eliminate the risks posed by products which they have placed on the market. 3. An importer or distributor shall be considered a manufacturer for the purposes of this Directive and shall be subject to the obligations of the manufacturer under Article 12, where it places marine equipment on the market or on board an EU ship under its name or trademark or modifies marine equipment already placed on the market in such a way that compliance with the applicable requirements may be affected. 1. The conformity assessment procedures shall be as set out in Annex II. where sets of marine equipment are produced individually or in small quantities and not in series or in mass, the conformity assessment procedure may be the EC unit verification (module G). 3. The Commission shall, by means of the information system made available for that purpose, keep an up to date list of approved marine equipment and applications withdrawn or refused and shall make that list available to interested parties. 1. The EU declaration of conformity shall state that the fulfilment of the requirements laid down in accordance with Article 4 has been demonstrated. 2. The EU declaration of conformity shall follow the model structure set out in Annex III to Decision No 768/2008/EC. It shall contain the elements specified in the relevant modules set out in Annex II to this Directive and shall be kept up to date. 3. By drawing up the EU declaration of conformity, the manufacturer shall assume the responsibility and the obligations referred to in Article 12(1). 4. When marine equipment is placed on board an EU ship, a copy of the EU declaration of conformity covering the equipment concerned shall be provided to the ship, and shall be kept on board until the said equipment is removed from the ship. It shall be translated by the manufacturer into the language or languages required by the flag Member State, including at least a language commonly used in the maritime transport sector. 5. A copy of the EU declaration of conformity shall be provided to the notified body or to the bodies which carried out the relevant conformity assessment procedures. 1. Member States shall, by means of the information system made available by the Commission for that purpose, notify the Commission and the other Member States of bodies authorised to carry out conformity assessment tasks under this Directive. 2. Notified bodies shall comply with the requirements laid down in Annex III. 1. Member States shall designate a notifying authority that shall be responsible for setting up and carrying out the necessary procedures for the assessment and notification of conformity assessment bodies and the monitoring of notified bodies, including compliance with Article 20. 2. Notified bodies shall be monitored at least every two years. The Commission may choose to participate as an observer in the monitoring exercise. 3. Member States may decide that the assessment and monitoring referred to in paragraph 1 are to be carried out by a national accreditation body. 4. Where the notifying authority delegates or otherwise entrusts the assessment, notification or monitoring referred to in paragraph 1 to a body which is not a governmental entity, that body shall be a legal entity and shall comply mutatis mutandis with the requirements laid down in Annex V. In addition, it shall have in place arrangements to cover liability arising out of its activities. 5. The notifying authority shall take full responsibility for the tasks performed by the body referred to in paragraph 4. 6. The notifying authority shall comply with the requirements laid down in Annex V.
1. Member States shall inform the Commission of their procedures for the assessment and notification of conformity assessment bodies and the monitoring of such bodies, and of any changes thereto. 2. The Commission shall, by means of the information system made available for that purpose, make that information publicly available. 1. Where a notified body subcontracts specific tasks connected with conformity assessment or has recourse to a subsidiary, it shall ensure that the subcontractor or the subsidiary meets the requirements set out in Annex III and shall inform the notifying authority accordingly. 4. Notified bodies shall keep at the disposal of the notifying authority the relevant documents concerning the assessment of the qualifications of the subcontractor or the subsidiary and the work carried out by such subcontractor or subsidiary under this Directive. 1. Where a notifying authority has ascertained, or has been informed, that a notified body no longer meets the requirements laid down in Annex III, or that it is failing to fulfil its obligations under this Directive, the notifying authority shall restrict, suspend or withdraw notification as appropriate, depending on the seriousness of the failure to meet those requirements or fulfil those obligations. It shall, by means of the information system made available by the Commission for that purpose, immediately inform the Commission and the other Member States accordingly. 1. The Commission shall investigate all cases where it doubts, based on the information available to it or brought to its attention, the competence of a notified body or the continued fulfilment by a notified body of the requirements and responsibilities to which it is subject. 4. Where the Commission ascertains that a notified body does not meet, or no longer meets, the requirements for its notification, it shall without delay inform the notifying Member State accordingly and request it to take the necessary corrective measures without delay, including de-notification if necessary. 1. Notified bodies shall carry out conformity assessments or have them carried out in accordance with the procedures provided for in Article 15. 2. Where a notified body finds that the obligations laid down in Article 12 have not been met by a manufacturer, it shall require that manufacturer to take appropriate corrective measures without delay and shall not issue a conformity certificate. 3. Where, in the course of monitoring conformity following the issue of a conformity certificate, a notified body finds that a product no longer complies, it shall require the manufacturer to take appropriate corrective measures without delay and shall suspend or withdraw the certificate if necessary. Where corrective measures are not taken or do not have the required effect, the notified body shall restrict, suspend or withdraw the certificate, as appropriate. 2. Notified bodies shall provide the Commission and the Member States, on request, with relevant information concerning issues relating to negative and positive conformity assessment results. Notified bodies shall provide the other notified bodies carrying out conformity assessment activities covering the same products with information concerning negative and, on request, positive conformity assessment results. 1. As regards marine equipment, the Member States shall undertake market surveillance in accordance with the EU market surveillance framework laid down in Chapter III of Regulation (EC) No 765/2008, subject to paragraphs 2 and 3 of this Article. 2. National market surveillance infrastructures and programmes shall take into account the specific features of the marine equipment sector, including the various procedures carried out as part of the conformity assessment, and in particular the responsibilities placed on the flag State administration by the international conventions. 3. Market surveillance may include documentary checks as well as checks of marine equipment which bears the wheel mark, whether or not it has been placed on board ships. Checks of marine equipment already placed on board shall be limited to such examination as can be carried out while the equipment concerned remains fully functional on board. 4. Where the market surveillance authorities of a Member State, as defined in Regulation (EC) No 765/2008, intend to carry out sample checks, they may, when it is reasonable and practicable to do so, request the manufacturer to make the necessary samples available or to give on-the-spot access to the samples at the manufacturer’s own cost. 1. Where the market surveillance authorities of a Member State have sufficient reason to believe that marine equipment covered by this Directive presents a risk to maritime safety, to health or to the environment, they shall carry out an evaluation in relation to the marine equipment concerned covering all the requirements laid down in this Directive. The relevant economic operators shall cooperate as necessary with the market surveillance authorities. Where, in the course of that evaluation, the market surveillance authorities find that the marine equipment does not comply with the requirements laid down in this Directive, they shall without delay require the relevant economic operator to take all appropriate corrective actions to bring the marine equipment into compliance with those requirements, to withdraw the marine equipment from the market, or to recall it within such reasonable period, commensurate with the nature of the risk, as they may prescribe. 2. Where the market surveillance authorities consider that non-compliance is not restricted to their national territory or to ships flying their flag, they shall inform the Commission and the other Member States, by means of the information system made available by the Commission for market surveillance purposes, of the results of the evaluation carried out under paragraph 1 and of the actions which they have required the economic operator to take. 3. The economic operator shall ensure that all appropriate corrective action is taken in respect of all the products concerned that it has made available on the market throughout the Union or, as the case may be, placed or delivered to be placed on board EU ships. 4. Where the relevant economic operator does not take adequate corrective action within the period prescribed by the market surveillance authorities in accordance with the second subparagraph of paragraph 1, or otherwise fails to meet its obligations under this Directive, the market surveillance authorities shall take all appropriate provisional measures to prohibit or restrict the marine equipment being made available on their national market or placed on board ships flying their flag, to withdraw the product from that market or to recall it. shortcomings in those testing standards. 6. Member States other than the Member State initiating the procedure shall without delay inform the Commission and the other Member States of any measures adopted and of any additional information at their disposal relating to the non-compliance of the marine equipment concerned, and, in the event of disagreement with the notified national measure, of their objections. 7. Where, within four months of receipt of the information concerning the measures taken by the market surveillance authorities, as referred to in paragraph 4, no objection has been raised by a Member State or by the Commission in respect of a provisional measure taken by a Member State, that measure shall be deemed justified. 8. Member States shall ensure that appropriate restrictive measures in respect of the marine equipment concerned, such as withdrawal of the product from their market, are taken without delay. 1. Where, on completion of the procedure set out in Article 26(3) and (4), objections are raised against a measure taken by a Member State, or where the Commission considers that a national measure may be contrary to Union legislation, the Commission shall without delay enter into consultation with the Member States and the relevant economic operator or operators and shall evaluate the relevant national measure. On the basis of the results of that evaluation, the Commission shall decide whether or not the relevant national measure is justified. 2. For the purposes of paragraph 1, where the Commission is satisfied that the procedure followed in the adoption of the national measure is appropriate for an exhaustive and objective evaluation of the risk and that the national measure complies with Article 21 of Regulation (EC) No 765/2008, it may limit itself to examining the appropriateness and proportionality of the relevant national measure in relation to the said risk. 3. The Commission shall address its decision to all Member States and shall immediately communicate it to them and to the relevant economic operator or operators. 4. If the relevant national measure is considered justified, all Member States shall take the measures necessary to ensure that the non-compliant marine equipment is withdrawn from their market, and, where necessary, recalled. They shall inform the Commission accordingly. 5. If the relevant national measure is considered unjustified, the Member State concerned shall withdraw it. 6. Where the non-compliance of the marine equipment is attributed to shortcomings in the testing standards referred to in Article 4, the Commission may, in order to fulfil the objective of this Directive, confirm, modify or revoke a national safeguard measure by means of implementing acts in accordance with the examination procedure referred to in Article 38(2). The Commission shall furthermore be empowered to adopt, by means of delegated acts in accordance with the procedure referred to in Article 37, interim harmonised requirements and testing standards for that specific item of marine equipment. The criteria laid down in Article 8(3) shall apply accordingly. These requirements and testing standards shall be made accessible free of charge by the Commission. 7. Where the testing standard concerned is a European standard, the Commission shall inform the relevant European standardisation body or bodies and shall bring the matter before the committee set up by Article 5 of Directive 98/34/EC. That committee shall consult the relevant European standardisation body or bodies and deliver its opinion without delay. 1. Where, having performed an evaluation under Article 26(1), a Member State finds that marine equipment which is in compliance with this Directive nevertheless presents a risk to maritime safety, to health or to the environment, it shall require the economic operator concerned to take all appropriate measures to ensure that the marine equipment concerned, when placed on the market, no longer presents that risk, to withdraw the marine equipment from the market or to recall it within such reasonable period, commensurate with the nature of the risk, as it may prescribe. 2. The economic operator shall ensure that corrective action is taken in respect of all the products concerned that it has made available on the market throughout the Union or placed on board EU ships. 3. The Member State shall immediately inform the Commission and the other Member States. The information provided shall include all available details, in particular the data necessary for the identification of the marine equipment concerned, the origin and the supply chain of the marine equipment, the nature of the risk involved and the nature and duration of the national measures taken. 4. The Commission shall without delay enter into consultation with the Member States and the relevant economic operator or operators and shall evaluate the national measures taken. On the basis of the results of that evaluation, the Commission shall decide whether or not the measure is justified and shall where necessary propose appropriate measures. Article 27(2) shall apply mutatis mutandis for this purpose. the EU declaration of conformity has not been sent to the ship. 2. Where the non-compliance referred to in paragraph 1 persists, the Member State concerned shall take all appropriate measures to restrict or to prohibit the marine equipment being made available on the market or to ensure that it is recalled or withdrawn from the market. 1. In exceptional circumstances of technical innovation, the flag State administration may permit marine equipment which does not comply with the conformity assessment procedures to be placed on board an EU ship if it is established by trial or otherwise to the satisfaction of the flag State administration that such equipment meets the objectives of this Directive. 2. The trial procedures shall in no way discriminate between marine equipment produced in the flag Member State and marine equipment produced in other States. 3. Marine equipment covered by this Article shall be given a certificate by the flag Member State which shall at all times be carried with the equipment and which gives the flag Member State’s permission for the equipment to be placed on board the ship and imposes any restrictions or lays down any provisions relating to the use of the equipment. 4. Where a Member State allows marine equipment covered by this Article to be placed on board an EU ship, that Member State shall forthwith communicate the particulars thereof together with the reports of all relevant trials, assessments and conformity assessment procedures to the Commission and to the other Member States. 5. Within 12 months of receipt of the communication referred to in paragraph 4, the Commission, if it considers that the conditions laid down in paragraph 1 are not met, may require the Member State concerned to withdraw the permission granted within a specified deadline. For this purpose, the Commission shall act by means of implementing acts. Those implementing acts shall be adopted in accordance with the examination procedure referred to in Article 38(2). 6. Where a ship with marine equipment on board which is covered by paragraph 1 is transferred to another Member State, the receiving flag Member State may take the necessary measures, which may include tests and practical demonstrations, to ensure that the equipment is at least as effective as equipment which does comply with the conformity assessment procedures. the marine equipment shall not be relied on in place of equipment which meets the requirements of this Directive and shall not replace such equipment, which shall remain on board the EU ship in working order and ready for immediate use. 1. In exceptional circumstances, which shall be duly justified to the flag State administration, when marine equipment needs to be replaced in a port outside the Union where it is not practicable in terms of reasonable time, delay and cost to place on board equipment which bears the wheel mark, other marine equipment may be placed on board subject to paragraphs 2 to 4. 2. The marine equipment placed on board shall be accompanied by documentation issued by a Member State of the IMO which is a party to the relevant conventions, certifying compliance with the relevant IMO requirements. 3. The flag State administration shall be informed at once of the nature and characteristics of such other marine equipment. 4. The flag State administration shall, at the earliest opportunity, ensure that the marine equipment referred to in paragraph 1, along with its testing documentation, complies with the relevant requirements of the international instruments and of this Directive. 5. Where it has been demonstrated that specific marine equipment bearing the wheel mark is not available on the market, the flag Member State may authorise other marine equipment to be placed on board, subject to paragraphs 6 to 8. 6. The authorised marine equipment shall comply, as much as possible, with the requirements and testing standards referred to in Article 4.
the testing standards applied, if any, in the relevant approval procedures. 8. The Member State issuing an interim certificate of approval shall inform the Commission forthwith. If the Commission considers that the conditions of paragraphs 6 and 7 have not been met, it may require that Member State to revoke that certificate or take other appropriate measures by means of implementing acts. Those implementing acts shall be adopted in accordance with the examination procedure referred to in Article 38(2). The Commission shall provide for the organisation of exchanges of experience between the Member States’ national authorities responsible for notification policy, especially as regards market surveillance. 1. The Commission shall ensure that appropriate coordination and cooperation between notified bodies are put in place and properly operated in the form of a sectoral group of notified bodies. 2. Member States shall ensure that the bodies notified by them participate in the work of the sectoral group, directly or by means of designated representatives. 1. The Member States shall, by means of the information system made available by the Commission for that purpose, notify to the Commission the name and contact details of the authorities in charge of the implementation of this Directive. The Commission shall draw up, periodically update and make public a list of those authorities. 2. For each item of marine equipment for which the approval of the flag State administration is required by the international conventions, the Commission shall indicate by means of implementing acts the respective design, construction and performance requirements and the testing standards provided for in the international instruments. When adopting those acts, the Commission shall explicitly indicate the dates from which those requirements and testing standards are to apply, including the dates for placing on the market and placing on board, in accordance with the international instruments, and taking into consideration timeframes for ship-building. The Commission may also specify the common criteria and detailed procedures for their application. 3. The Commission shall, by means of implementing acts, indicate the respective design, construction and performance requirements newly provided for in the international instruments and which apply to equipment already placed on board, in order to ensure that equipment placed on board EU ships complies with the international instruments. any other useful information with a view to facilitating correct implementation of this Directive by the Member States, the notified bodies and the economic operators. That database shall be made accessible to the Member States. It shall also be made available to the public for information purposes only. 5. The implementing acts referred to in this Article shall be adopted in the form of Commission Regulations in accordance with the examination procedure referred to in Article 38(2). The Commission shall be empowered to adopt delegated acts in accordance with Article 37 in order to update the references to standards, as referred to in Annex III, when new standards become available. 2. The power to adopt delegated acts referred to in Articles 8, 11, 27 and 36 shall be conferred on the Commission for a period of five years from 17 September 2014. The Commission shall draw up a report in respect of the delegation of power not later than nine months before the end of the five-year period. The delegation of power shall be tacitly extended for periods of an identical duration, unless the European Parliament or the Council opposes such extension not later than three months before the end of each period. 3. The delegation of power referred to in Articles 8, 11, 27 and 36 may be revoked at any time by the European Parliament or by the Council. A decision to revoke shall put an end to the delegation of the power specified in that decision. It shall take effect the day following the publication of the decision in the Official Journal of the European Union or at a later date specified therein. It shall not affect the validity of any delegated acts already in force. 5. A delegated act adopted pursuant to Articles 8, 11, 27 and 36 shall enter into force only if no objection has been expressed either by the European Parliament or the Council within a period of two months of notification of that act to the European Parliament and the Council or if, before the expiry of that period, the European Parliament and the Council have both informed the Commission that they will not object. That period shall be extended by two months at the initiative of the European Parliament or of the Council. 1. The Commission shall be assisted by the Committee on Safe Seas and the Prevention of Pollution from Ships (COSS) established by Regulation (EC) No 2099/2002. That committee shall be a committee within the meaning of Regulation (EU) No 182/2011. 1. Member States shall adopt and publish, by 18 September 2016 at the latest, the laws, regulations and administrative provisions necessary to comply with this Directive. They shall forthwith communicate to the Commission the text of those provisions. They shall apply those provisions from 18 September 2016. 1. Directive 96/98/EC is repealed with effect from 18 September 2016. 2. The requirements and testing standards for marine equipment applicable on 18 September 2016 pursuant to the provisions of national law adopted by the Member States in order to comply with Directive 96/98/EC shall continue to apply until the entry into force of the implementing acts referred to in Article 35(2). 3. References to the repealed Directive shall be construed as references to this Directive. (1) OJ C 161, 6.6.2013, p. 93. (3) Council Directive 96/98/EC of 20 December 1996 on marine equipment (OJ L 46, 17.2.1997, p. 25). (4) Decision No 768/2008/EC of the European Parliament and of the Council of 9 July 2008 on a common framework for the marketing of products, and repealing Council Decision 93/465/EEC (OJ L 218, 13.8.2008, p. 82). (5) Regulation (EC) No 765/2008 of the European Parliament and of the Council of 9 July 2008 setting out the requirements for accreditation and market surveillance relating to the marketing of products (OJ L 218, 13.8.2008, p. 30). (6) Regulation (EU) No 182/2011 of the European Parliament and of the Council of 16 February 2011 laying down the rules and general principles concerning mechanisms for control by Member States of the Commission’s exercise of implementing powers (OJ L 55, 28.2.2011, p. 13). (7) Regulation (EC) No 1406/2002 of the European Parliament and of the Council of 27 June 2002 establishing a European Maritime Safety Agency (OJ L 208, 5.8.2002, p. 1). (8) Regulation (EC) No 2099/2002 of the European Parliament and of the Council of 5 November 2002 establishing a Committee on Safe Seas and the Prevention of Pollution from Ships (COSS) (OJ L 324, 29.11.2002, p. 1.). (9) Directive 98/34/EC of the European Parliament and the Council of 22 June 1998 laying down a procedure for the provision of information in the field of technical standards and regulations (OJ L 204, 21.7.1998, p. 37). (10) Regulation (EU) No 1025/2012 of the European Parliament and of the Council of 25 October 2012 on European standardisation, amending Council Directives 89/686/EEC and 93/15/EEC and Directives 94/9/EC, 94/25/EC, 95/16/EC, 97/23/EC, 98/34/EC, 2004/22/EC, 2007/23/EC, 2009/23/EC and 2009/105/EC of the European Parliament and of the Council and repealing Council Decision 87/95/EEC and Decision No 1673/2006/EC of the European Parliament and of the Council (OJ L 316, 14.11.2012, p. 12). If the wheel mark is reduced or enlarged the proportions given in the graduated drawing must be respected. The various components of the wheel mark must have substantially the same vertical dimension, which may not be less than 5 mm. That minimum dimension may be waived for small devices. EC type-examination is the part of a conformity assessment procedure in which a notified body examines the technical design of marine equipment and verifies and attests that the technical design of the marine equipment meets the relevant requirements. assessment of the adequacy of the technical design of the marine equipment through examination of the technical documentation and supporting evidence referred to in point 3, plus examination of specimens, representative of the production envisaged, of one or more critical parts of the product (combination of production type and design type). The manufacturer shall lodge an application for EC type-examination with a single notified body of its choice. the supporting evidence for the adequacy of the technical design solution. This supporting evidence shall mention any documents that have been used. The supporting evidence shall include, where necessary, the results of tests carried out by the appropriate laboratory of the manufacturer, or by another testing laboratory on the manufacturer's behalf and under its responsibility. Where the type meets the requirements of the specific international instruments that apply to the marine equipment concerned, the notified body shall issue an EC type-examination certificate to the manufacturer. The certificate shall contain the name and address of the manufacturer, the conclusions of the examination, the conditions (if any) for its validity and the necessary data for identification of the approved type. The certificate may have one or more annexes attached. Where the type does not satisfy the applicable requirements of the international instruments, the notified body shall refuse to issue an EC type-examination certificate and shall inform the applicant accordingly, giving detailed reasons for its refusal. If the approved type no longer complies with the applicable requirements, the notified body shall determine whether further testing or a new conformity assessment procedure is necessary. The manufacturer shall inform the notified body that holds the technical documentation relating to the EC type-examination certificate of all modifications to the approved type that may affect the conformity of the marine equipment with the requirements of the relevant international instruments or the conditions for validity of the certificate. Such modifications shall require additional approval in the form of an addition to the original EC type-examination certificate. Each notified body shall inform its notifying authorities concerning the EC type-examination certificates and/or any additions thereto which it has issued or withdrawn, and shall, periodically or upon request, make available to its notifying authorities the list of certificates and/or any additions thereto refused, suspended or otherwise restricted. Each notified body shall inform the other notified bodies concerning the EC type-examination certificates and/or any additions thereto which it has refused, withdrawn, suspended or otherwise restricted, and, upon request, concerning the certificates and/or additions thereto which it has issued. The Commission, the Member States and the other notified bodies may, on request, obtain a copy of the EC type-examination certificates and/or additions thereto. On request, the Commission and the Member States may obtain a copy of the technical documentation and the results of the examinations carried out by the notified body. The notified body shall keep a copy of the EC type-examination certificate, its annexes and additions, as well as the technical file including the documentation submitted by the manufacturer, until the expiry of the validity of the certificate. The manufacturer shall keep a copy of the EC type-examination certificate, its annexes and additions together with the technical documentation at the disposal of the national authorities for at least 10 years after the wheel mark has been affixed on the last product manufactured and in no case for a period shorter than the expected life of the marine equipment concerned. 1. Conformity to type based on quality assurance of the production process is the part of a conformity assessment procedure whereby the manufacturer fulfils the obligations laid down in points 2 and 5, and ensures and declares on its sole responsibility that the marine equipment concerned is in conformity with the type described in the EC type-examination certificate and that it satisfies the requirements of the international instruments that apply to it. The manufacturer shall lodge an application for assessment of its quality system with the notified body of its choice, for the marine equipment concerned. the technical documentation of the approved type and a copy of the EC type-examination certificate. The quality system shall ensure that the products are in conformity with the type described in the EC type-examination certificate and that they comply with the requirements of the international instruments that apply to them. In addition to experience in quality management systems, the auditing team shall have at least one member with experience of evaluation in the relevant marine equipment field and marine equipment technology concerned, and knowledge of the applicable requirements of the international instruments. The audit shall include an assessment visit to the manufacturer’s premises. The auditing team shall review the technical documentation referred to in the fifth indent of point 3.1 in order to verify the manufacturer’s ability to identify the relevant requirements of the international instruments and to carry out the necessary examinations with a view to ensuring compliance of the product with those requirements. The notified body shall evaluate any proposed changes and decide whether the modified quality system will continue to satisfy the requirements referred to in point 3.2 or whether a re-assessment is necessary. The notified body shall carry out periodic audits to make sure that the manufacturer maintains and applies the quality system, and shall provide the manufacturer with an audit report. In addition, the notified body may pay unexpected visits to the manufacturer, except where, under national law, and for defence or security reasons, certain restrictions apply to such visits. During such visits the notified body may, if necessary, carry out product tests, or have them carried out, in order to verify that the quality system is functioning correctly. The notified body shall provide the manufacturer with a visit report and, if tests have been carried out, with a test report. The manufacturer shall affix the wheel mark referred to in Article 9, and, under the responsibility of the notified body referred to in point 3.1, the latter’s identification number to each individual product that is in conformity with the type described in the EC type-examination certificate and that satisfies the applicable requirements of the international instruments. The manufacturer shall draw up a written declaration of conformity for each product model and keep it at the disposal of the national authorities for at least 10 years after the wheel mark has been affixed on the last product manufactured and in no case for a period shorter than the expected life of the marine equipment concerned. The declaration of conformity shall identify the marine equipment model for which it has been drawn up. 7. Each notified body shall inform its notifying authorities of quality system approvals issued or withdrawn, and shall, periodically or upon request, make available to its notifying authorities the list of quality system approvals refused, suspended or otherwise restricted. The manufacturer’s obligations set out in points 3.1, 3.5, 5 and 6 may be fulfilled by its authorised representative, on its behalf and under its responsibility, provided that they are specified in the mandate. 1. Conformity to type based on product quality assurance is that part of a conformity assessment procedure whereby the manufacturer fulfils the obligations laid down in points 2 and 5, and ensures and declares on its sole responsibility that the marine equipment concerned is in conformity with the type described in the EC type-examination certificate and that it satisfies the requirements of the international instruments that apply to it. The manufacturer shall operate an approved quality system for final product inspection and testing of the products concerned as specified in point 3, and shall be subject to surveillance as specified in point 4. The quality system shall ensure compliance of the products with the type described in the EC type-examination certificate and with the applicable requirements of the international instruments. In addition to experience in quality management systems, the auditing team shall have at least one member with experience of evaluation in the relevant marine equipment field and marine equipment technology concerned, and knowledge of the applicable requirements of the international instruments. The audit shall include an assessment visit to the manufacturer’s premises. The auditing team shall review the technical documentation referred to in the fifth indent of point 3.1, in order to verify the manufacturer’s ability to identify the relevant requirements of the international instruments and to carry out the necessary examinations with a view to ensuring compliance of the product with those requirements. 1. Conformity to type based on product verification is the part of a conformity assessment procedure whereby the manufacturer fulfils the obligations laid down in points 2, 5.1 and 6, and ensures and declares on its sole responsibility that the products concerned, which have been subject to the provisions of point 3, are in conformity with the type described in the EC type-examination certificate and that they satisfy the requirements of the international instruments that apply to them. The manufacturer shall take all measures necessary so that the manufacturing process and its monitoring ensure conformity of the manufactured products with the approved type described in the EC type-examination certificate and with the requirements of the international instruments that apply to them. A notified body chosen by the manufacturer shall carry out appropriate examinations and tests in order to check the conformity of the products with the approved type described in the EC type-examination certificate and with the appropriate requirements of the international instruments. The examinations and tests to check the conformity of the products with the appropriate requirements shall be carried out, at the choice of the manufacturer, either by examination and testing of every product as specified in point 4 or by examination and testing of the products on a statistical basis as specified in point 5. All products shall be individually examined and tested in accordance with this Directive, in order to verify conformity with the approved type described in the EC type-examination certificate and with the appropriate requirements of the international instruments. The manufacturer shall keep the certificates of conformity available for inspection by the national authorities for at least 10 years after the wheel mark has been affixed on the last product manufactured and in no case for a period shorter than the expected life of the marine equipment concerned. The manufacturer shall take all measures necessary so that the manufacturing process and its monitoring ensure the homogeneity of each lot produced, and shall present its products for verification in the form of homogeneous lots. A random sample shall be taken from each lot. All products in a sample shall be individually examined and tested in accordance with this Directive, in order to ensure their conformity with the applicable requirements of the international instruments and to determine whether the lot is accepted or rejected. The manufacturer shall keep the certificates of conformity at the disposal of the national authorities for at least 10 years after the wheel mark has been affixed on the last product manufactured and in no case for a period shorter than the expected life of the marine equipment concerned. If a lot is rejected, the notified body or the competent authority shall take appropriate measures to prevent that lot being placed on the market. In the event of the frequent rejection of lots, the notified body may suspend the statistical verification and take appropriate measures. The manufacturer shall affix the wheel mark referred to in Article 9, and, under the responsibility of the notified body referred to in point 3, the latter’s identification number to each individual product that is in conformity with the approved type described in the EC type-examination certificate and that satisfies the applicable requirements of the international instruments. 7. If the notified body agrees and under its responsibility, the manufacturer may affix the notified body’s identification number to the products during the manufacturing process. The manufacturer’s obligations may be fulfilled by its authorised representative, on its behalf and under its responsibility, provided that they are specified in the mandate. An authorised representative may not fulfil the manufacturer’s obligations set out in points 2 and 5.1. 1. Conformity based on unit verification is the conformity assessment procedure whereby the manufacturer fulfils the obligations laid down in points 2, 3 and 5 and ensures and declares on its sole responsibility that the product concerned, which has been subject to the provisions of point 4, is in conformity with the requirements of the international instruments that apply to it. The manufacturer shall keep the technical documentation at the disposal of the relevant national authorities for at least 10 years after the wheel mark has been affixed on the last product manufactured and in no case for a period shorter than the expected life of the marine equipment concerned. The manufacturer shall take all measures necessary so that the manufacturing process and its monitoring ensure conformity of the manufactured product with the applicable requirements of the international instruments. A notified body chosen by the manufacturer shall carry out appropriate examinations and tests in accordance with this Directive, in order to check the conformity of the product with the applicable requirements of the international instruments. The manufacturer shall affix the wheel mark referred to in Article 9 and, under the responsibility of the notified body referred to in point 4, the latter’s identification number to each product that satisfies the applicable requirements of the international instruments. The manufacturer shall draw up a written declaration of conformity and keep it at the disposal of the national authorities for at least 10 years after the wheel mark has been affixed on the last product manufactured and in no case for a period shorter than the expected life of the marine equipment concerned. The declaration of conformity shall identify the product for which it has been drawn up. The manufacturer’s obligations set out in points 2 and 5 may be fulfilled by its authorised representative, on its behalf and under its responsibility, provided that they are specified in the mandate. For the purposes of notification, a conformity assessment body shall meet the requirements laid down in points 2 to 11. A conformity assessment body shall be established under national law and have legal personality. A conformity assessment body shall be a third-party body independent of the organisation or the marine equipment which it assesses. A body belonging to a business association or professional federation representing undertakings involved in the design, manufacturing, provision, assembly, use or maintenance of marine equipment which it assesses, may, on condition that its independence and the absence of any conflict of interest are demonstrated, be considered a conformity assessment body. A conformity assessment body, its top-level management and the personnel responsible for carrying out the conformity assessment tasks shall not be the designer, manufacturer, supplier, installer, purchaser, owner, user or maintainer of the marine equipment which is assessed, nor the authorised representative of any of those parties. This shall not preclude the use of assessed products that are necessary for the operations of the conformity assessment body or the use of such products for personal purposes. A conformity assessment body, its top-level management and the personnel responsible for carrying out the conformity assessment tasks shall not be directly involved in the design, manufacture or construction, the marketing, installation, use or maintenance of that marine equipment, or represent the parties engaged in those activities. They shall not engage in any activity that may conflict with their independence of judgement or integrity in relation to conformity assessment activities for which they are notified. This shall apply, in particular, to consultancy services. Conformity assessment bodies and their personnel shall carry out the conformity assessment activities with the highest degree of professional integrity and the requisite technical competence in the specific field and shall be free from all pressures and inducements, particularly of a financial nature, which might influence their judgement or the results of their conformity assessment activities, especially as regards persons or groups of persons with an interest in the results of those activities. A conformity assessment body shall be capable of carrying out all the conformity assessment tasks assigned to it under this Directive and in relation to which it has been notified, whether those tasks are carried out by the conformity assessment body itself or on its behalf and under its responsibility. procedures for the performance of activities which take due account of the size of an undertaking, the sector in which it operates, its structure, the degree of complexity of the marine equipment technology in question and the mass or serial nature of the production process. A conformity assessment body shall have the means necessary to perform the technical and administrative tasks connected with the conformity assessment activities in an appropriate manner, and shall have access to all necessary equipment and facilities. The impartiality of the conformity assessment bodies, of their top-level management and of the assessment personnel shall be guaranteed. The remuneration of the top-level management and of the assessment personnel of a conformity assessment body shall not depend on the number of assessments carried out or on the results of those assessments. Conformity assessment bodies shall take out liability insurance unless liability is assumed by the State in accordance with national law, or the Member State itself is directly responsible for the conformity assessment. The personnel of a conformity assessment body shall observe professional secrecy with regard to all information obtained in carrying out their tasks under this Directive or pursuant to any provision of national law giving effect to it, except in relation to the competent authorities of the Member States in which its activities are carried out. Proprietary rights shall be protected. Conformity assessment bodies shall participate in, or ensure that their assessment personnel are informed of, the relevant standardisation activities and the activities of the notified body coordination group established under this Directive, and shall apply as general guidance the administrative decisions and documents produced as a result of the work of that group. Conformity assessment bodies shall meet the requirements of standard EN ISO/IEC 17065:2012. Conformity assessment bodies shall ensure that testing laboratories used for conformity assessment purposes meet the requirements of standard EN ISO/IEC 17025:2005. A conformity assessment body shall submit an application for notification to the notifying authority of the Member State in which it is established. That application shall be accompanied by a description of the conformity assessment activities, the conformity assessment module or modules and the marine equipment for which that body claims to be competent, as well as by an accreditation certificate, where one exists, issued by a national accreditation body attesting that the conformity assessment body fulfils the requirements laid down in Annex III. Where the conformity assessment body concerned cannot provide an accreditation certificate, it shall provide the notifying authority with all the documentary evidence necessary for the verification, recognition and regular monitoring of its compliance with the requirements laid down in Annex III. Notifying authorities may notify only conformity assessment bodies which have satisfied the requirements laid down in Annex III. They shall notify the Commission and the other Member States using the electronic notification tool developed and managed by the Commission. The notification shall include full details of the conformity assessment activities, the conformity assessment module or modules and marine equipment concerned and the relevant attestation of competence. Where a notification is not based on an accreditation certificate as referred to in section 1, the notifying authority shall provide the Commission and the other Member States with documentary evidence which attests to the conformity assessment body’s competence and the arrangements in place to ensure that that body will be monitored regularly and will continue to satisfy the requirements laid down in Annex III. The body concerned may perform the activities of a notified body only where no objections are raised by the Commission or the other Member States within two weeks of a notification where an accreditation certificate is used or within two months of a notification where accreditation is not used. Only a body referred to in point 2.5 shall be considered a notified body for the purposes of this Directive. The Commission and the other Member States shall be notified of any subsequent relevant changes to the notification. The Commission shall assign an identification number to a notified body. It shall assign a single such number even where the notified body is recognised as notified under several legislative acts of the Union. The Commission shall make publicly available the list of the bodies notified under this Directive, including the identification numbers that have been allocated to them and the activities for which they have been notified. A notifying authority shall be established in such a way that no conflict of interest with conformity assessment bodies occurs. A notifying authority shall be organised and operated in such a way as to safeguard the objectivity and impartiality of its activities. A notifying authority shall be organised in such a way that each decision relating to notification of a conformity assessment body is taken by competent persons different from those who carried out the assessment. A notifying authority shall not offer or provide, on a commercial or competitive basis, any activities that conformity assessment bodies perform or any consultancy services. A notifying authority shall safeguard the confidentiality of the information it obtains. A notifying authority shall have a sufficient number of competent personnel at its disposal for the proper performance of its tasks.